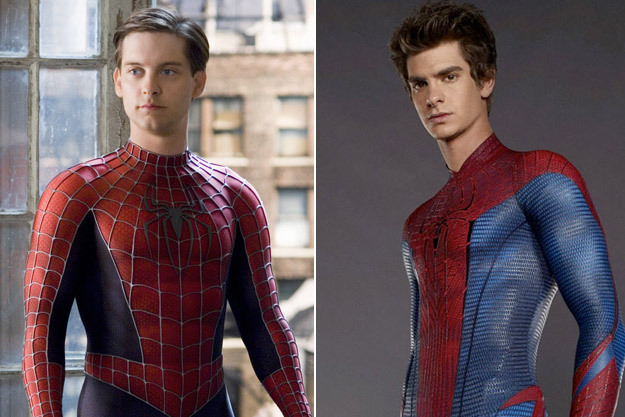 POLL: Tobey or Andrew; Who Do You Want Web-Slinging in Your Neighborhood? The Amazing Spider-Man finally webs his way into the cineplex & with the film already grossing plenty of money (currently at $75 million as domestic total), audiences are already beginning to be caught up in this spectacular web that has been constructed. With all of the success has and will follow TASM sparks the debate who was did a better job playing the role of Peter Parker; Tobey Maguire or Andrew Garfield. Cinema Blend released a post that compared both performances of both actors, weighing out the pros & cons of each. So, what do you think? Who would you prefer as your friendly neighborhood Spider-Man? Are you a Team Tobey trooper or did TASM amaze you over to the Andrew Alliance? Tell us what you think! Thank you! Glad that you enjoyed it!